Three Christmas's ago my mom gave me this book. It was a few months after I launched my Etsy shop and took it on full-time. Being in a new season of my life full of unknowns, this book really helped me to dream a little bigger and break down big goals into bite size pieces. The book encourages you to create a vision journal because writing down your dreams is the best way to get started. I've been adding dreams to my vision journal for three years now and I truly think most of the things I am doing today started with the simple step to write it out and make a plan. 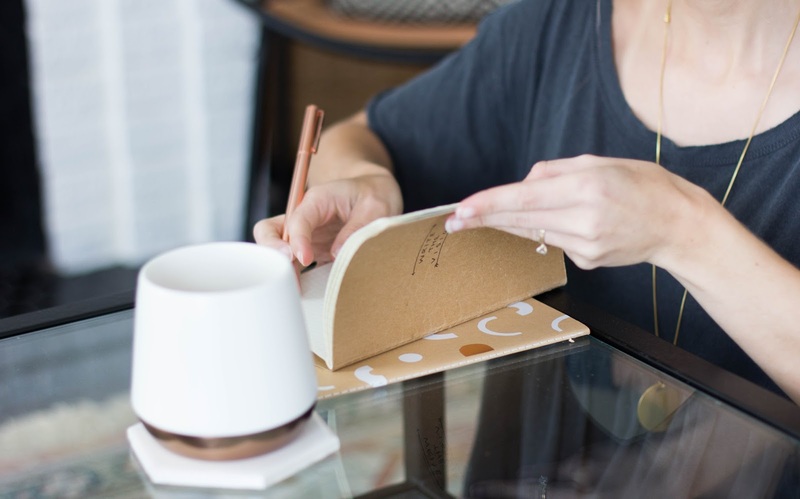 I felt it was about time I share with you why you need your own vision journal and how to get started. "Write the vision" is based on Habakkuk 2:2 in the Bible. It says "Write the vision and make it plain so that the one who reads it can run with it". So, for me, the vision is a dream or goal - big or small - that I want to work towards. I love that the book, Imagine Big, encourages you to write down even the small dreams and the seemingly silly ones. The book also points to Proverbs 29:18 "Where there is no vision, the people perish." So writing these things down and keeping them in front of you is so important, and sometimes half the battle. I've written down so many things in my journal that seem too lofty or too silly to even voice...but there is something about writing it down on paper that changes a goal to a vision! 1. 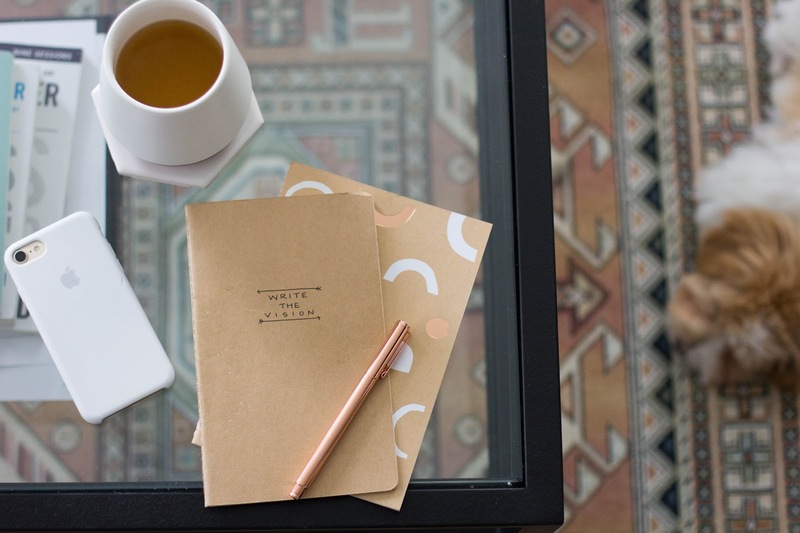 Grab a journal - too easy, right?! Pen & paper. I'm serious about this one. Grab a journal designated for dreams and visions and make sure you like it, you'll have it for a while! 2. 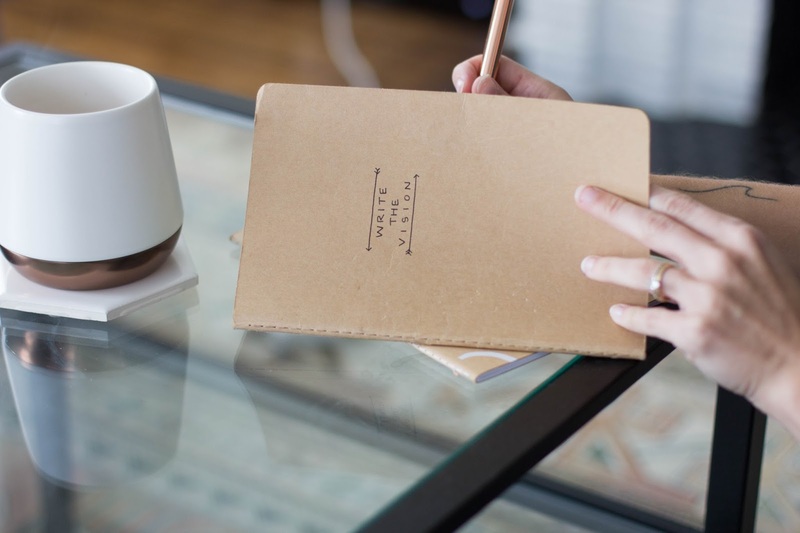 Write down one goal per page- you'll need the full page because you'll be adding a lot to it! 3. Keep the goal at the top- whatever the goal is, write it boldly at the top! 4. Next comes the picture- For this, you'll need a printer, clippings from a magazine or you can draw it out. You want your dream to be visualized, so print, clip or sketch a picture that represents this goal. Sometimes I will print a photo and draw over it to help better represent the end goal. 5. Set a time stamp- Write the current date out. This is so you can look back and see when you set the dream. 6. Make Plans- A goal is just a a bunch of words without a plan. A goal becomes a vision when there are plans in place to reach it. Write out the first steps on how you are going to make it happen! Sure, you probably don't know steps 3&4, so just start with the first couple of steps. It will grow from there as you make progress! 7. Notes- This is where you add any extra thoughts or current feelings. I like to use this spot to share current ideas that are tied to the goal. 8. Scriptures & Inspiration- I love to have scriptures (like Habakkuk 2 & Proverbs 29) in front of me to look to when I maybe feel discouraged about the vision. 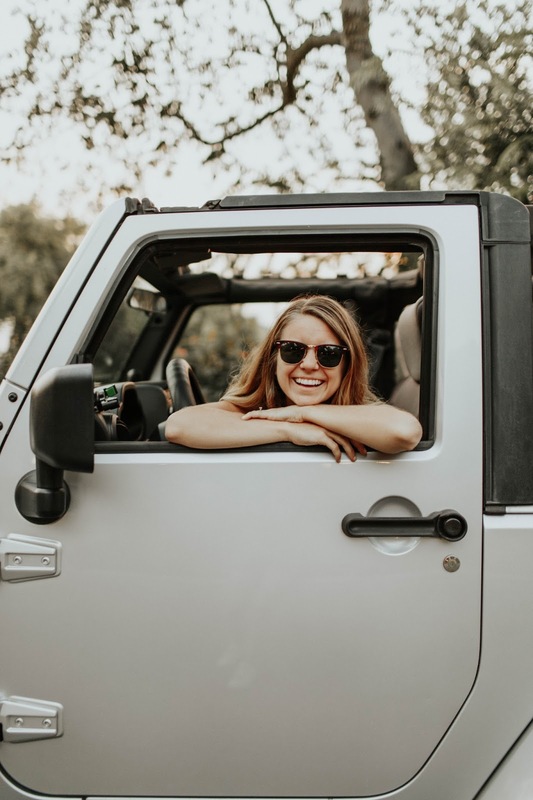 You can also add inspirational quotes here! 9. Date Achieved- this spot will be blank until the day you get to open your journal again and put a new time stamp on it. This is the best part, to look back on #2-8 and see how your vision came to life! If this seems intimidating, I promise it is not! 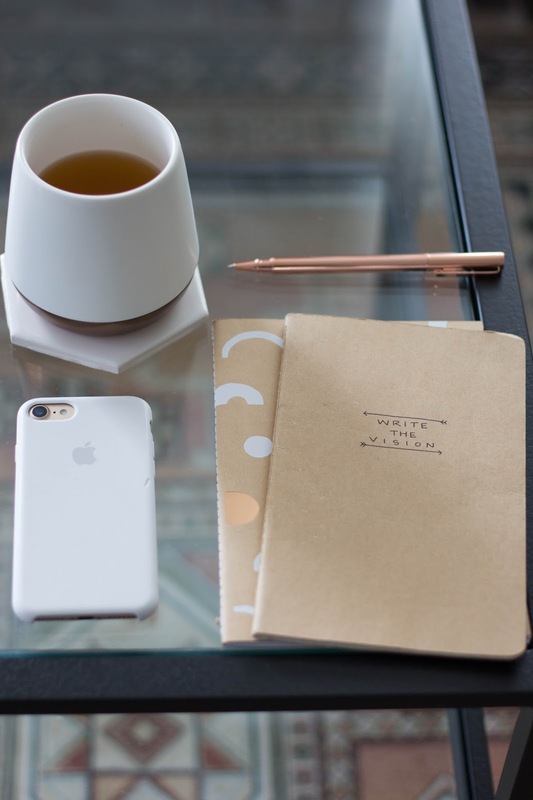 The most intimidating part is writing the vision down, and that is why it is a journal - to keep private. 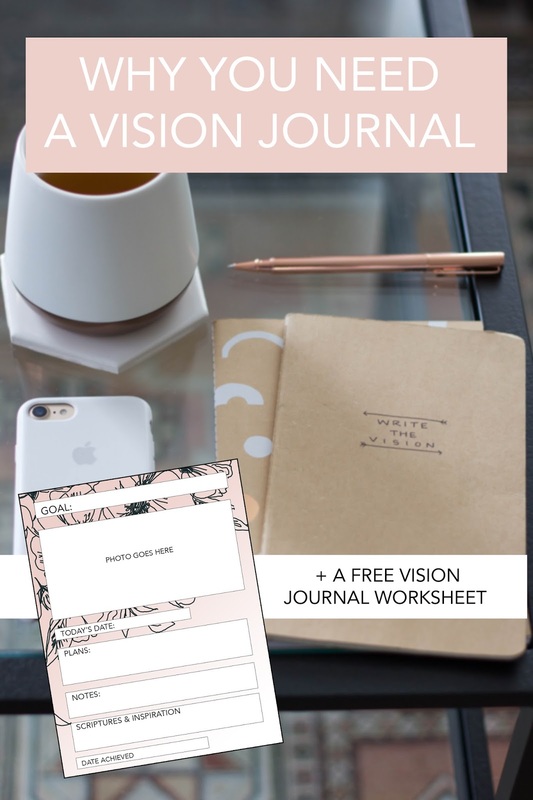 To help you get started, here is a free print out vision journal page to get you started and build off of. I hope this helps you take one step closer to those dreams you have close to your heart! I'll take the risk of sounding like a fortune cookie and leave you with this: Remember, no dream is too big, too small, or too silly to write down see come to life! Great choice! Target has the cutest journals! I really like this idea and find value in writing down your dreams. Could you add a visual (--heyy!) of what a sample page looks like when it's finished. It's stupid, but when it comes to journals dedicated to one thing, the perfectionist in me always gets stopped on the formatting of it all. I'd love to see what one of your pages looks like. Thanks! Hey erika! I made an example page where it says "download the printable vision journal worksheet"